Where there was darkness (and algae gunk) there is now only light! A UV light that is. 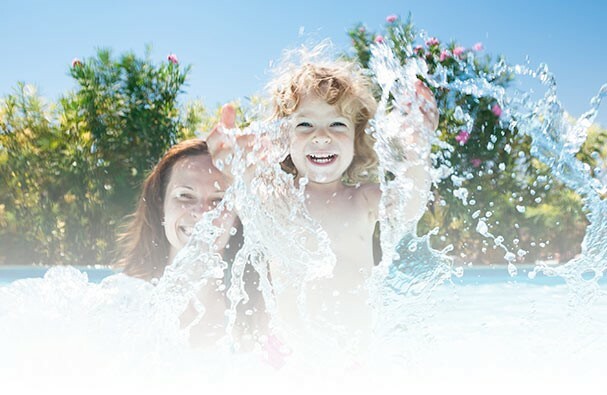 UV Spa disinfection is the best, most modern way to clean your hot tub or spa. It’s simple, effective and safe. This non-chemical approach is being embraced by anyone who wants a healthier, more natural way to sanitize their water. An approach that has been used to decontaminate drinking water is now being applied to our swimming water! Did You Know Salt Systems Work By Producing Chlorine? Chlorine and salt systems have long been the only option for cleaning your spa or hot tub. However, both of these options can be harsh on the skin and irritating to eyes or asthma. The entire point of a hot tub or spa is to help relax you. It can be hard to relax when your skin is itching from excessive chlorine. The UV system is safe and undetectable. There are no residual effects for you, plant life, animals or the environment. The water is simply cleaned and feels completely natural. In addition to no skin irritation, the UV system also helps you avoid having to transport and store potentially hazardous chemicals. The UV disinfection system is the way of the future! Contact us today to find out how you can bring your hot tub or spa or even swimming pool experience into the modern day.